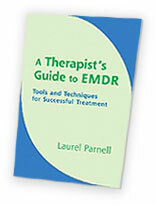 EMDR with a Relationship Issue - Laurel Parnell, Ph.D. 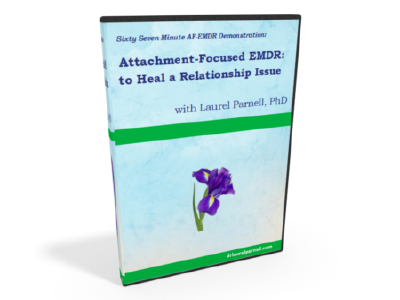 In this video, i use AF-EMDR with a client who presented with a difficulty in her current relationship that she believed was connected to trauma she had experienced as a child. She had been a in a long-term relationship but did not feel comfortable getting married. We began by exploring more fully the presenting problem and determining goals for treatment, then installed resources and prepared her for EMDR processing. Though she had a memory she thought was significant, I chose to bridge her back from her current fear to find a more direct link to her symptoms. She bridged back to a traumatic childhood scene, different from the one she had thought to work on. We reprocessed this scene, at times needing to use resource interweaves to aid her child self. After reprocessing the childhood target, we returned to see how she felt about marriage. Some fear remained. We then targeted her concept of marriage and reprocessed it. Along the way, I used interweaves to help her sort out what was true of her current relationship and what she was bringing from her parents’ relationship. Near the end of the session, she had a headache. After moving her body with BLS, she no longer felt trapped and her headache went away. In the end she arrived at a process positive cognition: “I can explore what marriage means to me.” which we installed. This is a demonstration on how to use an attachment-focused approach to EMDR. We begin by exploring the presenting problem more fully to determine goals of treatment. 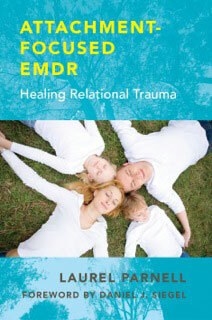 I then install resources and prepare for EMDR processing.